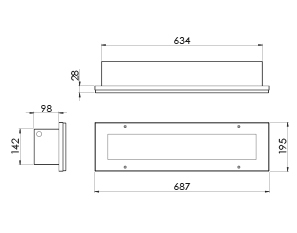 Recessed linear LED fitting, unique upstand recessing flange, suitable for new installations or retrofitting into existing cavities when Bergo, Bergen or Victor have been removed. Body in Zinc coated steel. 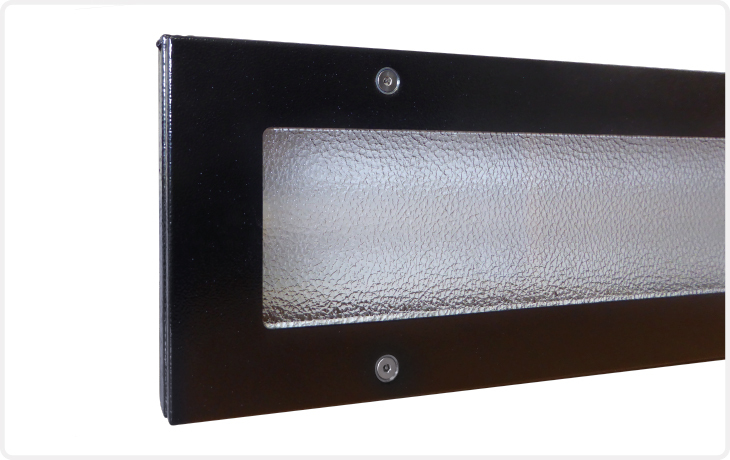 3mm clear patterned polycarbonate flat panel diffuser secured by anti-tamper fixings. 2250 & 2450 lm are supplied set to ordered level but version for on-site switchable output is available – add suffix "ADJ". 4500 & 4900 lm are supplied set to ordered level but version for on-site switchable output is available – add suffix "ADJ".